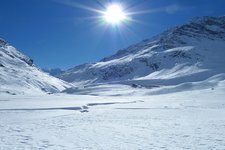 Skiing, cross-country skiing, winter hikes or showshoeing, or maybe ice skacing in the centre of Merano? Merano and surroundings offers a wide choice regarding winter leisure time activities. 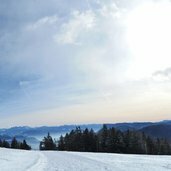 A very interesting snowshoe tour for nature enthusiasts is the so-called „Spielerrunde“. The circular hike starts at Falzeben, close to the village of Avelengo and promises spectacular, panoramic views of the mountains. The highest point lies at an altitude of 2080m. This tour requires stamina and takes around four hours to complete. 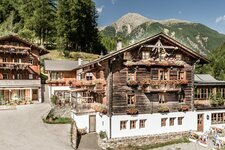 Winter holidays in Val d’Ultimo, in Val Senales, Val Passiria or in the centre of Merano? Good choice, I would say. 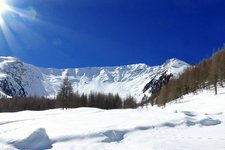 Particularly if you love winterly activities in a fariytale landscape, inhaling crystal clear mountain air. 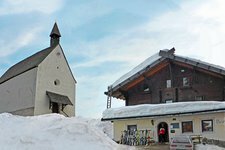 In Val Senales, Merano 2000, Val Passiria and Val d’Ultimo, there is a wide range of cross-country ski runs, both for beginners and professional cross-country skiers. 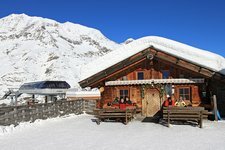 Of course there are also several skiing areas, such as Merano 2000, Plan in Val Passiria, the Val Senales glacier or the Schwemmalm in Val d’Ultimo. 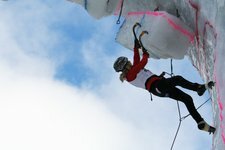 If you seek the absolute adrenaline thrill, we recommend you to visit the ice climbing facility in Corvara, Val Passiria, rush of adrenaline guaranteed, even only by watching. 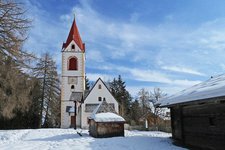 Those, however, who prefer more cosy activities are invited to make a pleasant winter hike in the snow-covered landscape in the surroundings of Merano, or take part in a guided showshoe-tour. 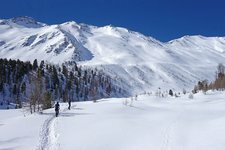 Likewise popular is ski touring in the mountains surroundings Merano and the head of the alpine valleys in this area. There is something for every taste! 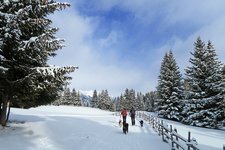 An easy tour in the snowy Val d’Ultimo near the Schwemmalm skiing area. Armin Zöggeler is one of South Tyrol’s most excellent former athletes.